Liposuction is a surgical procedure that eliminates excess fat to help patients achieve a smoother, sleeker figure. Also known as “lipo” and “lipoplasty,” this body contouring procedure is especially useful on areas that have not responded to diet and exercise. Manhattan plastic surgeon Dr. Thomas W. Loeb performs advanced liposuction techniques in his fully-accredited surgical suite, giving men and women a safe and permanent solution to stubborn pockets of fat. Liposuction is a minimally-invasive procedure where adipose tissue (fatty deposits) is suctioned out of targeted body areas through small tubes called cannula. Since the procedure entails micro incisions, patients heal rapidly with little scarring. Lipo improves body contours and overall proportion by reducing localized fat cells in the stomach area, hips, thighs, flanks, buttocks, calves and back. Some patients may enhance jawline contours with neck and chin liposuction, while arm liposuction can rid patients of bothersome “bat wings” that strength training fails to improve. Lipo is not considered a weight loss solution and is only recommended for patients who are healthy and within 10 percent of their ideal body weight. While lipoplasty is great for body sculpting, it cannot eliminate cellulite or loose, sagging skin. Lipo can take from one to two hours depending on the areas being treated, the amount of fat being removed, and if complementary surgical procedures are being performed at the same time. Just like their female counterparts, men are taking more proactive measures when it comes to looking and feeling their best. In the context of male plastic surgery, liposuction is one of the most requested procedures today. In fact, the American Society of Plastic Surgeons estimates that more than a quarter of all liposuction patients in the U.S. are men. Lipo is a safe and effective way to improve the physique with little risk of complications. The most common areas for men are the lower abdomen, the “love handles,” and neck. Liposuction is also used to permanently remove excess male breast tissue, a condition known as gynecomastia that can prove emotionally and physically demoralizing to some patients. 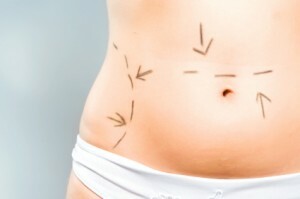 How much is liposuction and is the cost really worth it? There are lots of factors at play which can influence liposuction prices. A plastic surgeon’s fee is based on level of experience, the type of lipo procedure performed, the number of areas treated, as well as their office location. In general, insurance does not cover liposuction costs, but many surgeons including Dr. Loeb, offer their patients financing plans. Prospective patients should consider liposuction a long-term investment in their health and appearance. Studies have demonstrated that once fat cells are suctioned out, they are gone for good. Enhanced techniques and equipment have made liposuction easier and safer for patients. Some of the methods include tumescent liposuction that uses a saline solution, ultrasound-assisted liposuction (UAL), and laser liposuction which utilizes laser energy to melt fat before it is gently suctioned out of the body. Laser lipo offers several advantages, namely the ability to emulsify fat prior to vacuum suction, which shortens recovery time and lowers chances of bruising. Light energy from lasers also stimulates collagen and elastin production, which ultimately results in smoother, firmer and tighter skin. During a one-on-one consultation, Dr. Loeb will discuss various liposuction methods when determining which will deliver optimal results. Individuals who are considering liposuction are advised to review pre and post-op photos that candidly document patient outcomes in regards to skin laxity and sculpted contours. Browse the transformative results achieved by Dr. Loeb in his liposuction before and after gallery. Liposuction, in the right candidates, is a fast fix for abdominal “tires,” bulging thighs, back fat, love handles and thick calves. Liposuction is performed on an outpatient basis using localized anesthesia. Nearly all of Dr. Loeb’s patients go home the same day as their liposuction surgery. Patients are asked to wear a compression garment for two to three weeks to control swelling and promote the healing process. Since liposuction side effects such as bruising, swelling and mild discomfort are minimal, recovery is usually quick with patients able to return to normal activities after two weeks. Pain medications may be prescribed to mitigate any soreness after the surgery. Since incisions are very small (roughly two centimeters) and closed with dissolvable sutures, liposuction scars heal nicely and are easily hidden. Residual swelling subsides within six weeks of the surgery, giving patients a glimpse of their new and improved contours. In order to maintain long-term liposuction results, patients are encouraged to maintain a healthy weight and exercise regularly. To learn more about liposuction in NYC with Dr. Thomas Loeb, please call 212-327-3700 to schedule a private consultation.